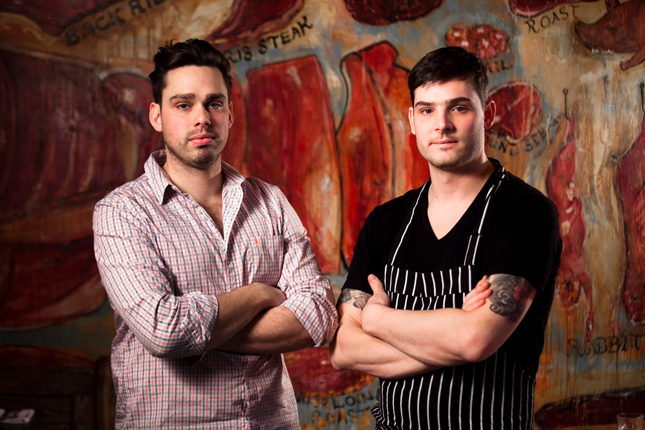 If by any chance you do not know who is Rob Rossi, he came second on Canada’s Top Chef! He became the co-owner and Head Chef of Bestellen with his business partner Ryan Sarfeld back in February 2012. Chef Rob prides himself on making sure that everything served is made in-house. To capture his commitment to opening a quality restaurant, the process of opening his restaurant was captured on camera and made into the series, Opening: Bestellen. 1. What do you do to stay informed about new trends? To keep up with the latest trends, I eat, read and travel as much as possible. Watching food programmes on channels such as AFC helps to get the mind working and creative juices flowing! The world of food evolves everyday and to be successful in this industry, it’s a must to keep up with the times! 2. What are 3 tips for running a successful restaurant? Challenge your restaurant’s food and service. By doing so, you pinpoint areas which have room for improvement and then make an effort to better it! Make sure that you know and love the numbers. The restaurant game is all about numbers. A lot of dreams and passion gets lost in the restaurant business by not being profitable. Even I struggled with this issue with my own restaurant, which you can see in Opening: Bestellen on the Asian Food Channel. Be passionate with your food, your staff and the service! Every aspect is just as important. And treat your guests like gold! It’s all about the love. 3. What do you cook for yourself and your family at home? I love cooking pasta at home! It’s something that is cheap, simple and still very comforting. My favourite would be Spaghetti with Anchovy, Chilli and Parsley. As a child, Chef Rob already aspired to be a chef. His mother’s Italian-inspired cooking and visiting his uncle’s restaurant were his driving forces. Did you know Chef Rob came out of the first season of Top Chef Canada as a finalist? He was a fan favourite, winning 4 challenges in total. A milestone in every chef’s career is opening a restaurant that they can call their own. For Chef Rob, he named it Bestellen, which means ‘to order’ in German! You can catch all the nitty and gritty action in Opening: Bestellen on the Asian Food Channel! Chef Rob has listed Chef Daniel Boulud, another fellow celebrity chef who has appears on the Asian Food Channel’s original production, One Night in Singapore – Daniel Boulud, as one of his culinary idols. What a small world! His cooking philosophy is to use the best ingredients and apply complementary techniques that will make inspiring dishes. Chef Rob started working in the culinary industry at the age of 15 with a less-than-glamorous job; washing dishes at Pizza Hut. Everybody has to start somewhere! Chef Rob became a chef the old fashion way: by learning the ropes through hard work and determination in restaurants and slowly climbing up the ranks. What does Chef Rob love to do as much as cooking? Fly-fishing! He also wonders why so many chefs love to fish and hunt, perhaps, it is so they can get in touch with and better understand their ingredients! Do catch Opening: Bestellen (8 episodes of 30 minutes each) every Tuesday at 9.30 pm (Malaysian time). Repeats are on Sunday 4:00 pm; Tuesday 1:30 am; and Wednesday 3:30 pm.